That's a wrap! A timeless design, combined with rich colors, creates an instant classic. 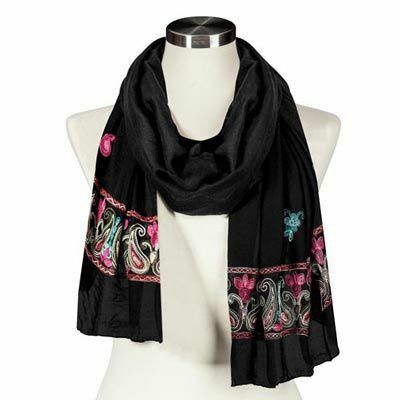 Our embroidered polyester wrap can be worn as a scarf or shawl for a multitude of looks! Machine wash. Imported. 30"w, 72"l. Hurry! Quantities are limited!